The littlest things can sometimes feel like the biggest things. We are all guilty of it; something (that in all actuality is very small) happens and yet we react to it as though it is the biggest threat. We may sulk, we may reflect on the day, the week, or the month as being absolutely terrible. Unfortunately, this mindset actually results in your experience of an event or period of time as actually being as bad as you make it out to be in your mind. This has everything to do with perspective, which we have talked about many times before. And just as previous discussions have pointed out, today’s discussion is quite similar. Our perspective dictates how we approach, reflect on, and look back on experiences, periods of time, or events. However, this blog is not specifically about perspective but more so about ways of reflecting to consider whether something (as in, your day, week, month, life, relationship, job, etc.) is actually as bad as it seems. 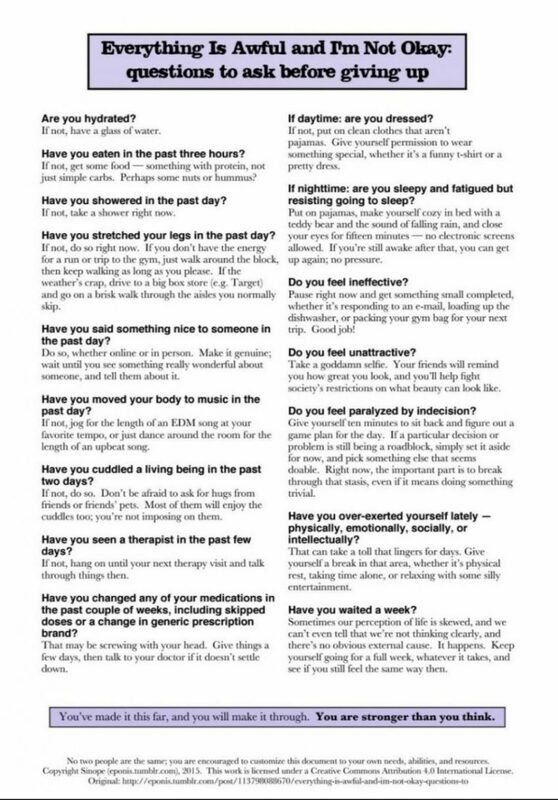 So before you decide that today was the most terrible day ever or that the past month has been absolutely dreadful, consider the following questions because chances are, it’s not. Will this matter in one hour? Will it matter in one day? Will it matter in two weeks? Will it matter in one year? If you answered no to any of these, guess what? It’s not THAT big of a deal – so stop making it one! If a friend or loved one told you about the same experience you just had, what would you tell them? Would you tell them they are doomed, have the worst luck/life, and will always be unhappy? Probably not… You would probably actually see things much more objectively. Take these skills and apply them to yourself. Do you still have all of your basic needs met? If so, things aren’t that bad. Do you have someone – and I mean, anyone – you can talk to? The following visual takes things a step further. If you are dwelling on problems so much that you’re at the point where you think you want to give up, consider these more fundamental questions to ask yourself whether that is the best approach to take. 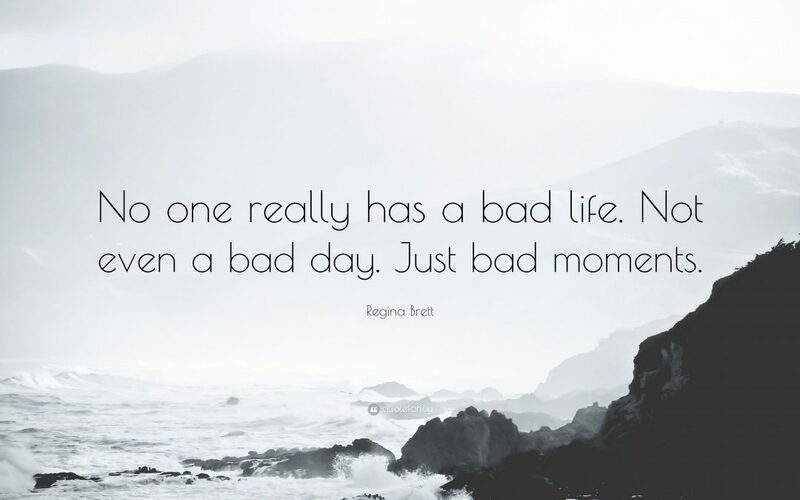 Even though things can seem to be at their worst, chances are (in most cases) they truly are not.